Mr. Pellegrino making the middle school hallway look fantastic! 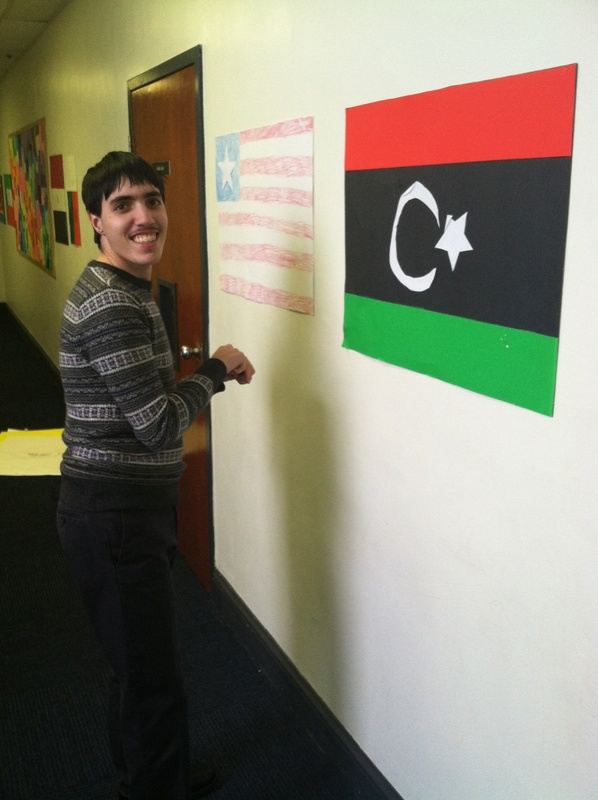 After the sixth grade students participated in Africa Day, Mr. Pellegrino made the middle school hallway beautiful by hanging African flags throughout the hallways. Mr. Pellegrino is beginning to be in very high demand. Teachers throughout the middle school are requesting his help for organizing papers, hanging up materials, correcting multiple choice items, and even painting in the art room! Everyone loves having an extra set of hands in the classroom! 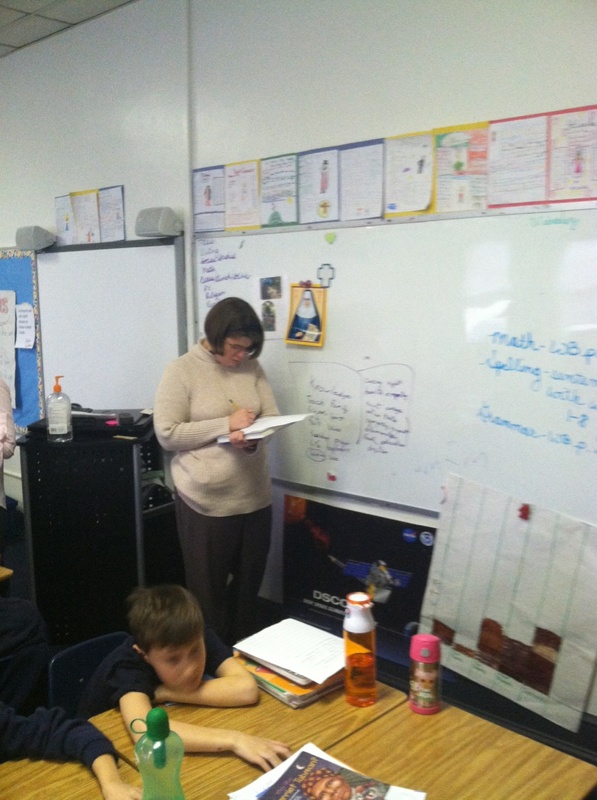 Down in the third grade, Miss Allen is working hard. This past week, she helped the students with their reading groups. Miss Allen facilitated a vocabulary small group session, and consequently, Miss Monk was able to focus on other areas of reading. Miss Monk has commented several times on how helpful it is to have Miss Allen in the room. Miss Allen described her teaching philosophy as helping students learn how to do things on their own. Brilliant! 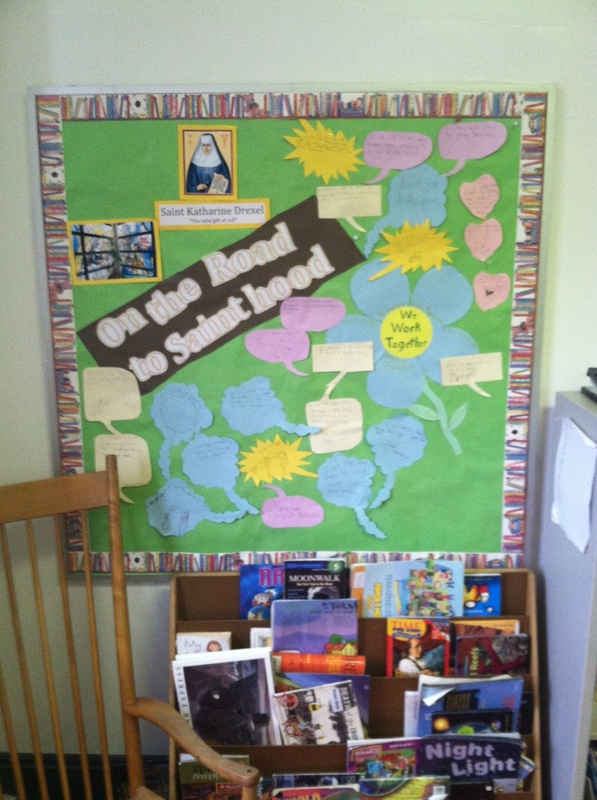 Check out her new bulletin board below. This week’s saint, Katherine Drexel! Saint Katherine Drexel, Pray for us!